The sun is setting on our first evening in Salerno, and I find myself in a bee hive. I can't tell where one movement ends and another begins. Mouths evolve into odd shapes, opening and closing in milliseconds, then again and again. Young men and women race from one position to another, dashing past their nearest predecessor, as if it was a matter of life and death. Each successive movement is as important as the one before. I drop my fork. Before I can pick it up and place it on the table or even think of asking for another, a new fork appears. Just like that. Waiters and waitresses scurry past, moving people and food, in and out. I have to slow my American brain down with my hands. We are sitting down to pizza and wine at Criscemunno in Salerno, Italy. I have discovered my nimble Italian hive. 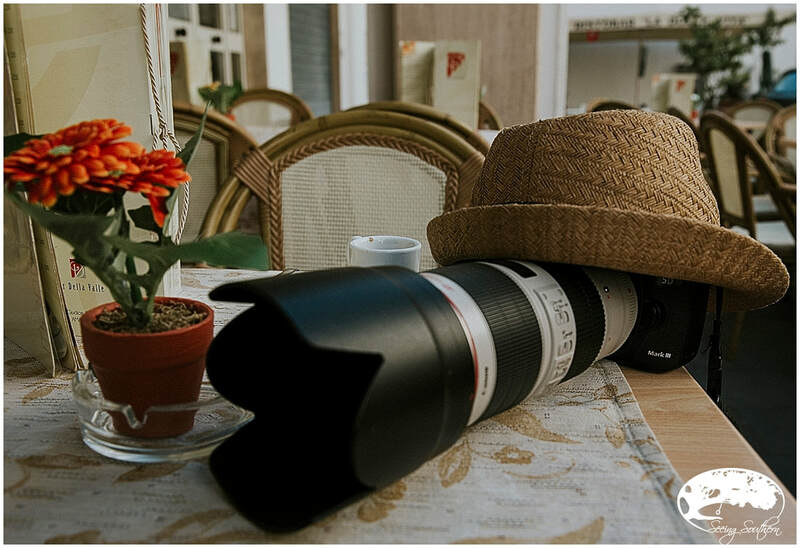 Not only do we stumble on this pizzeria by reading reviews in TripAdvisor, but we visit, one - two - three times for authentic Italian pizza, intimate surroundings and an ideal table for two. We you find perfection, you stick with it. Arrival into Salerno was late afternoon, and it felt nothing like Rome. We took a taxi from the Salerno train station and even the driver had to ask directions. Len and I gave each other THAT look that started, oh, about a week ago. The driver maneuvered through the 8-foot wide streets and came to a dead stop. A building stood in front, and he said, "It's that way," pointing to the right. Again, we looked at each other. With luggage in tow, we bounced up the cobblestone street, appearing lost and feeling very much like tourists. Thanks to good Americans and good Italians, we found our door. And that is when the Italian god appeared. Ciro. What did I expect? After all, we were in Italy. I've watched Under the Tuscan Sun. Diane Lane had a Roman god. Why shouldn't I? 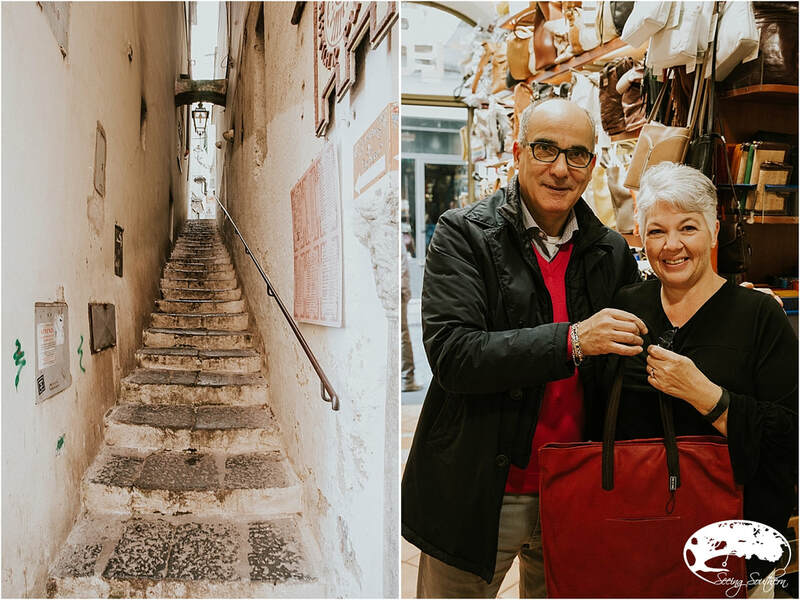 With a swift movement, Ciro picked up both 50-pound suitcases and barrelled up five flights of stairs. I followed. I don't know how, but I followed. Once on the roof, I looked for Len behind me. He wasn't there. I called and he answered, some two flights down. I was at the top. On the roof. With my Italian god. And so begins our experience with our second Airbnb host. Our second Airbnb might have needed a couple of tweaks, but it it had charisma. And, a view. And let's not forget the Roman god. 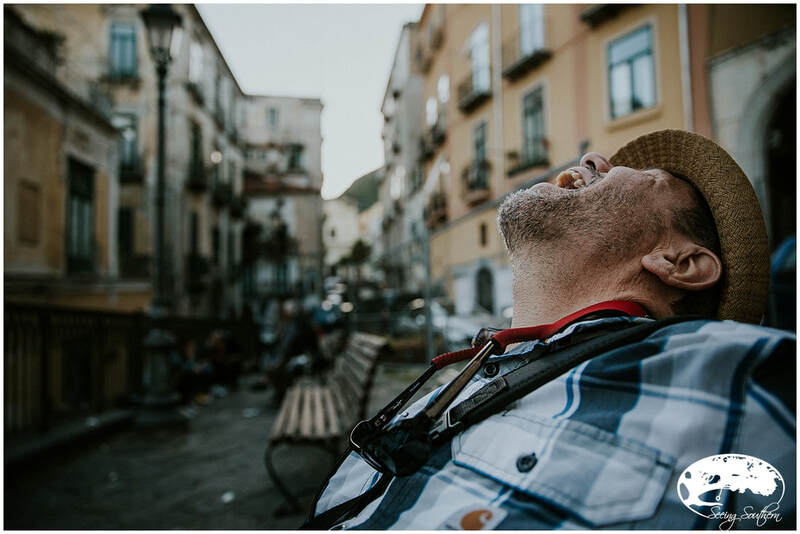 Turns out, Salerno was somewhat of a diamond in the rough. 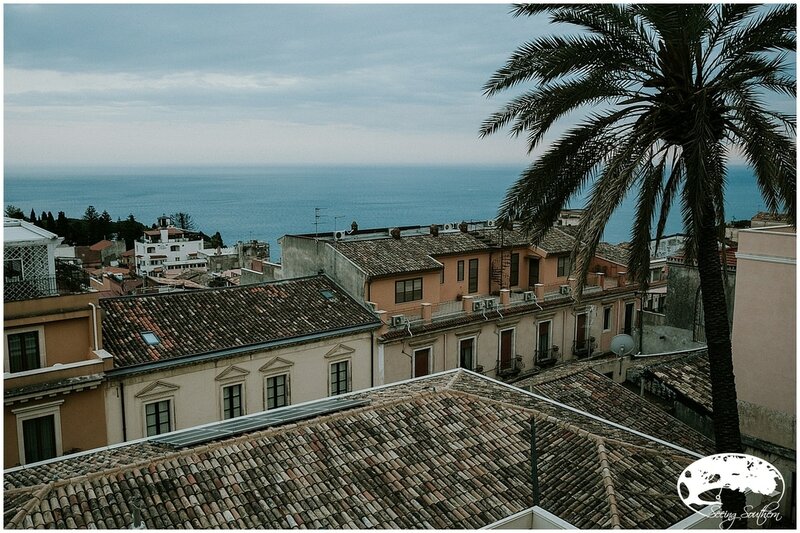 The only reason we chose this city was because it was a middle-of-the-road spot for the exploration of Pompeii and the Amalfi Coast. There was little research in tourist books. Nothing very noteworthy. It ended up being one of our favorite destinations. We took the fast train from Roma to Salerno (top speeds, 280 klm). Len saw no scenery; he glued his eyes to the clicker as it displayed the train's speed! Although we traveled initially via taxi from the train station to our apartment, the one-mile-plus was an easy walk even with luggage. 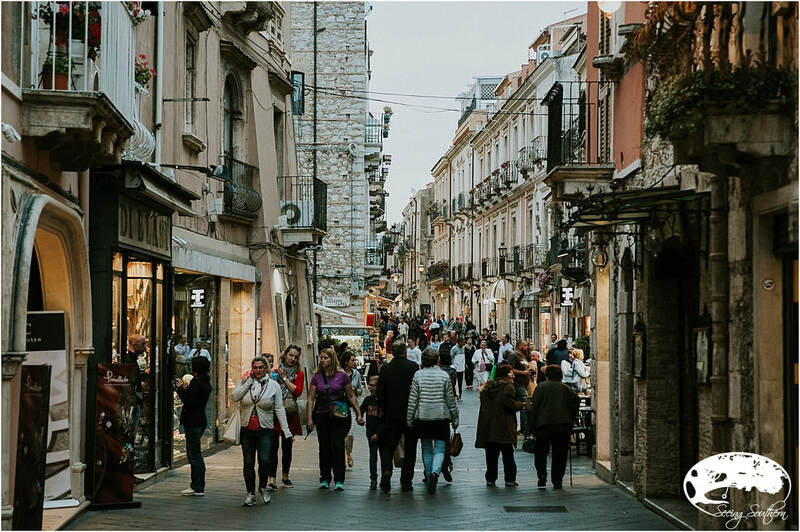 Our departure took us down a straight path from our apartment along the Corso Vittorio Emanuele, this part of Salerno's busiest streets. The streets became pedestrian walkways late afternoons, closed to vehicle traffic. No need for a car; between the train and our legs, we had everything we needed. Salerno is a port town, just south of Naples. A 90-minute train ride (the fast one) from Rome. 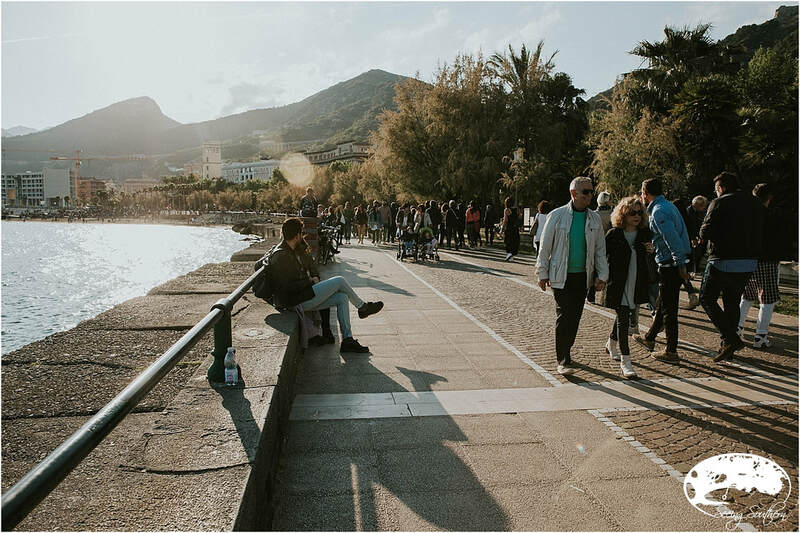 It was the scene of the Allied landings during WWII and was hard-pressed to recover; however, today it's an important commercial center along the Tyrrhenian Sea. Along the Corso Vittorio Emanuele shortly before nightfall. We passed this little store on our way to and from our apartment along the Via dei Mercanti. We couldn't help but chuckle to see Pringles and cake mixes proudly displayed. 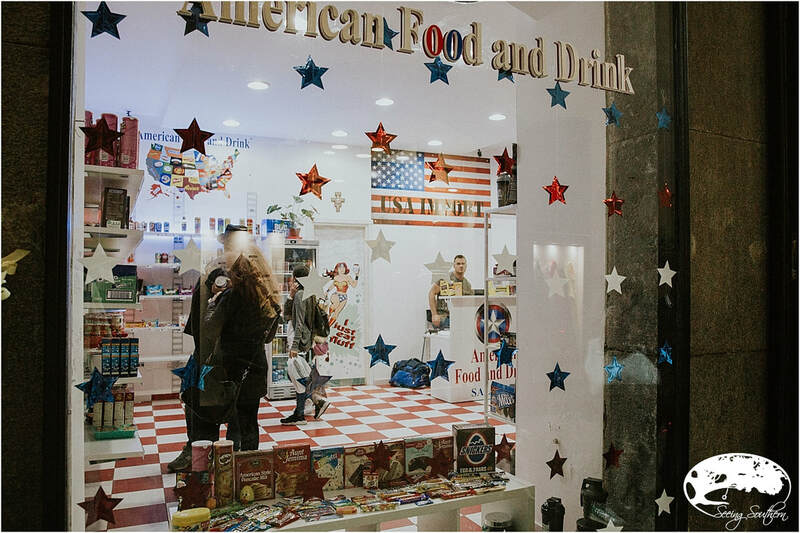 The store was rarely empty; it was obvious the Italian fascination with American preservatives. Yes, I'll never forget Ciro with his blue eyes. We'll also never forget mama who leaped over building roofs to rescue us when the key wouldn't work. We didn't understand a word of her frantic apology, however, we did understand the devotion of our Italian hosts to their guests. Bar Rosa became one of our favorite spots for morning and afternoon coffee. According to most, cappuccino after 10 a.m. is a no-no. However, an espresso is just the ticket to get your through the day. Average cost, 1.50 euros; pastry, 1 euro. Along the waterfront on the Piazza Concordia. Hell must freeze over first before I would forego seeing the Amalfi coast during this trip to Italy. What do we do? We go . . . Andiamo! Our approach from the north to the Amalfi Coast whet our appetite for the romantic and awe-inspiring. We felt as though we had just stepped into a movie and Federico Fellini would appear shortly. Rather than renting a car and tackling the curves of the coast, we rented a car and driver. 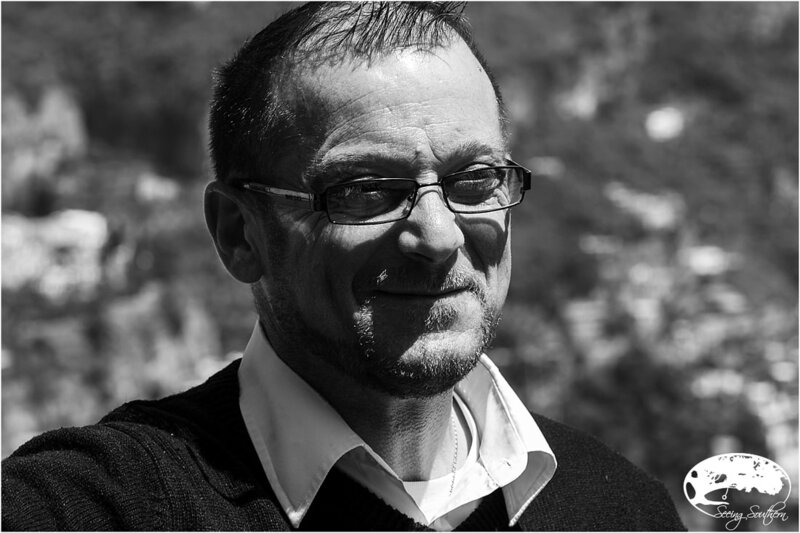 After much research and back-and-forth with companies, we discovered Amalfi Coast Destinations and Roberto. 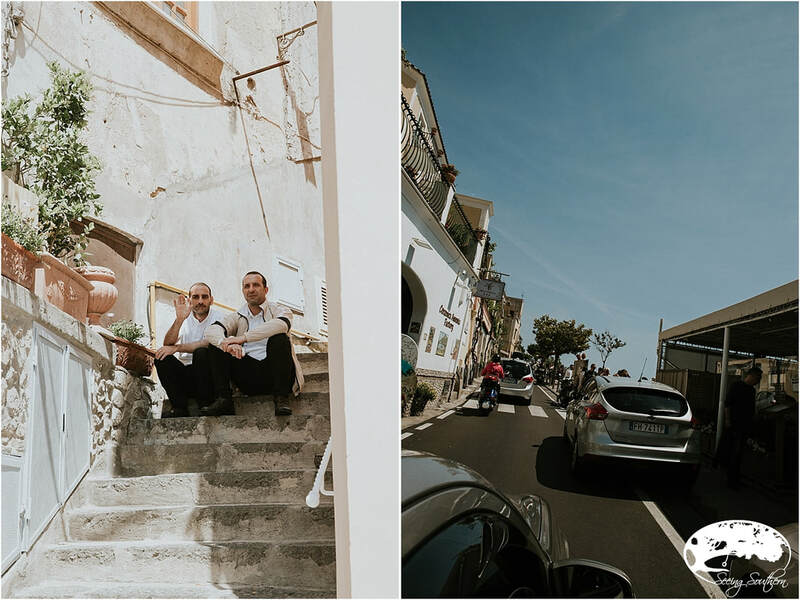 (left) Before we reach Amalfi, the secluded fishing village of Cetara, famous for its anchovies. (right) Entering the city of Amalfi. 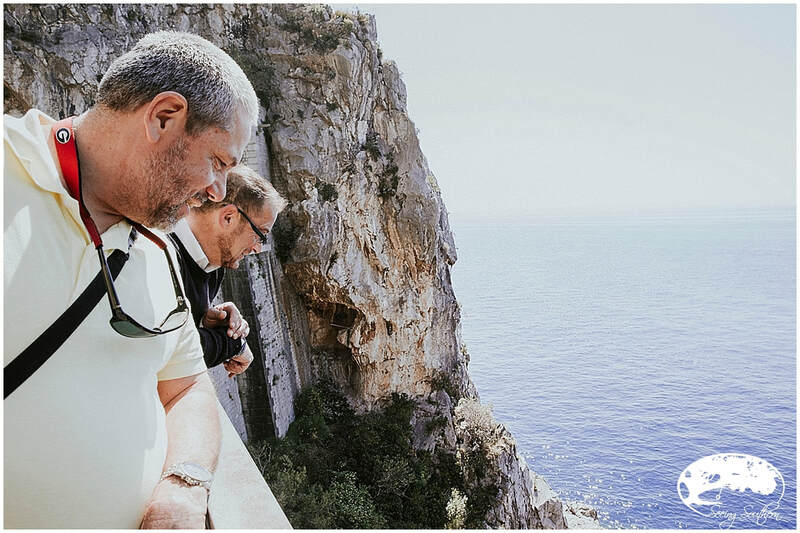 Roberto, our guide, says this: everyone has "to experience the great pride of Amalfi Coast. You never get used to its mighty beauty." As we return to our car, he shouts, "Oh Mama Mia," for the traffic has doubled. Buses, cars, people weave in and out. And there's scooters; Italians call these drivers "organ donors" because of the many wrecks on the snake-like roads. In the city of Amalfi, a stop for many runners and cyclists. I am woman. I buy leather. Italian leather. And the craftsman was more than proud to share his work. One of the most famous stops in Amalfi, Pansa. 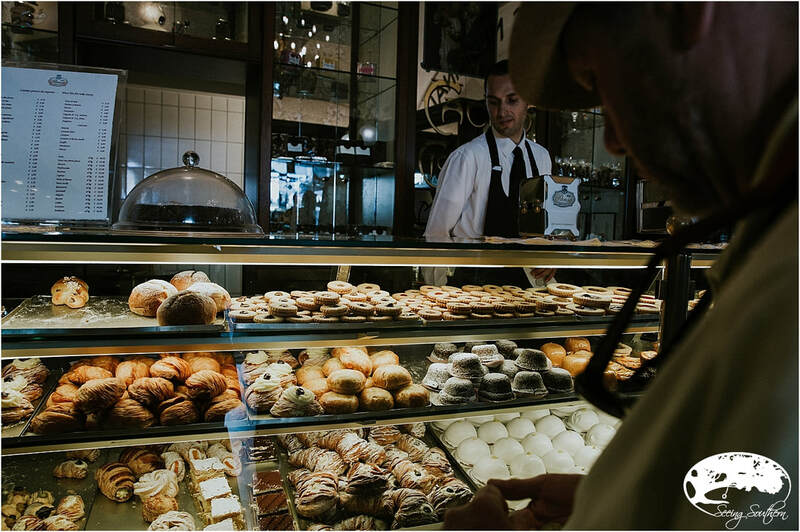 Enjoy scrumptious pastries, including the must-have sfogliatella. Located in the middle of the square, adjacent to St. Andrews Cathedral, Pansa has been around since 1830. Our first espresso of the day at Bar Della Valle. Two euros. Past the lemon trees, the olive trees, the fig trees and chestnut trees, the hillsides give way to the beginnings of Positiano. On the left, the hotel San Pietro. Roberto tells us that Sophia Lauren once had a home on the coast. 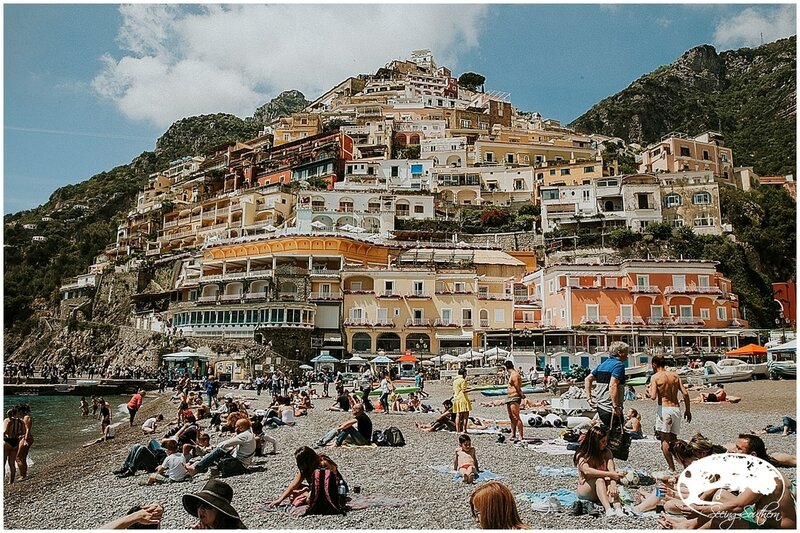 He also says, "Nothing has been Americanized on the Amalfi Coast." It's called the Path of the Gods. As we enter the city, Roberto breathes, "What a view." From our parking spot, it's a long trek down the hill to the water below. We pass vendors selling all types of linen goods; I buy a beautiful linen dress. 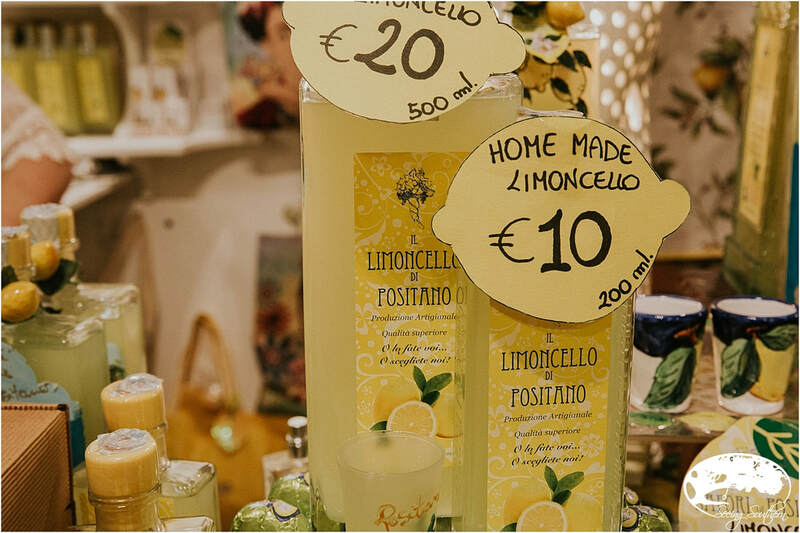 There's also limoncello made inside a shop. A driver calls "Watch your legs" as he speeds past the crowds which must walk on the road. The entire Amalif Coast is a UNESCO World Heritage site. There is no new construction allowed. The traffic is intense and Roberto tells us that in October, it will be better. (right) It's where Diane Lane called to Marcello in Under the Tuscan Sun. One of my "wow" moments. 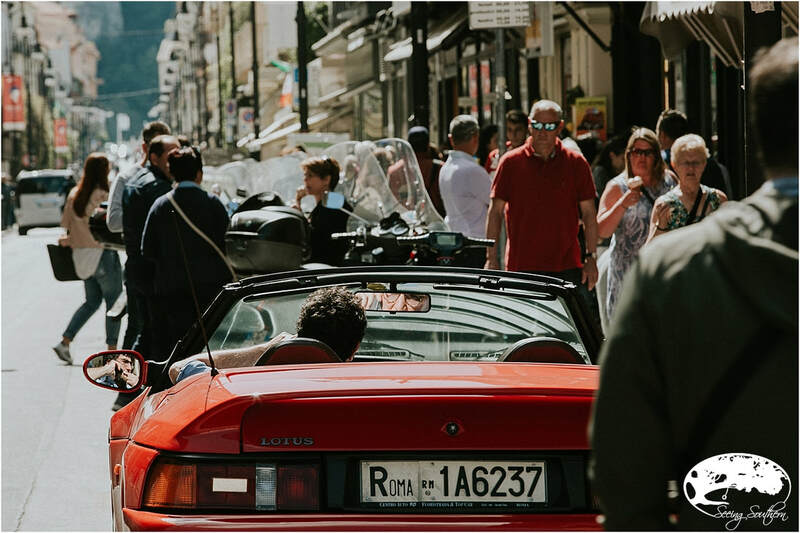 With traffic increasing, we make a decision to only take a 30 minute stop in Sorrento for we have to be back in Salerno by 5 p.m. Roberto directs us toward a cafe and we find an outside table in the middle of the crowded center city. We enjoy our vino and a small pizza and people watch. Roberto tells us that Sorrento is filled with olive trees. We understand that we must spend more time here; next time, we will.